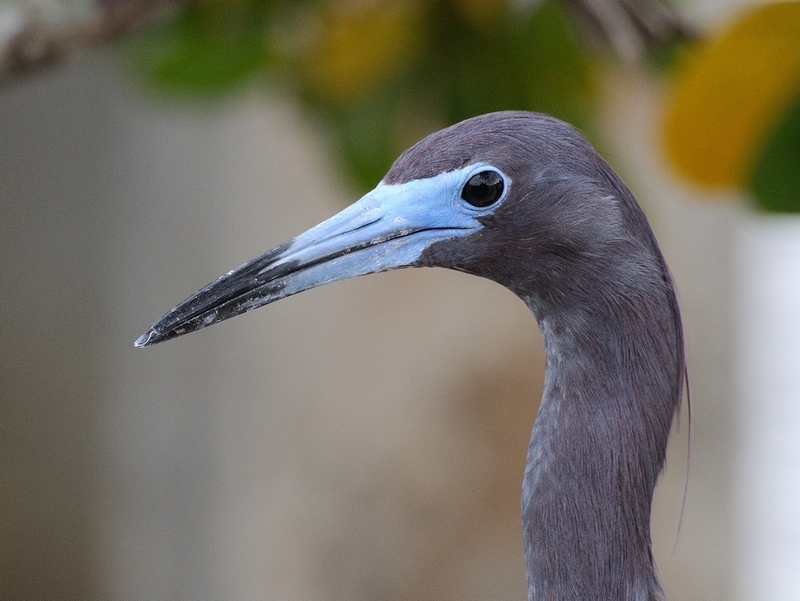 I found a Little Blue Heron – Egretta caerulea in Ponce de Leon Park this afternoon. It was showing full mating colors with a brilliant patch of blue before it’s eyes. Once mating season is over this will fade to a more normal color. Just click on the images for a larger view. 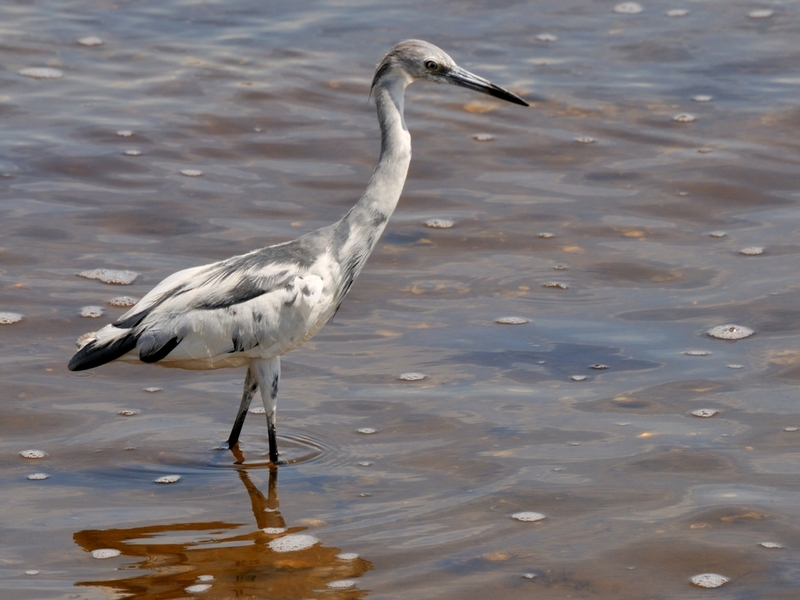 When young, Little Blue Herons are actually white and are often confused with Snowy Egrets which are about the same size. The gradually go through a dappled phase as their blue coloring comes in. 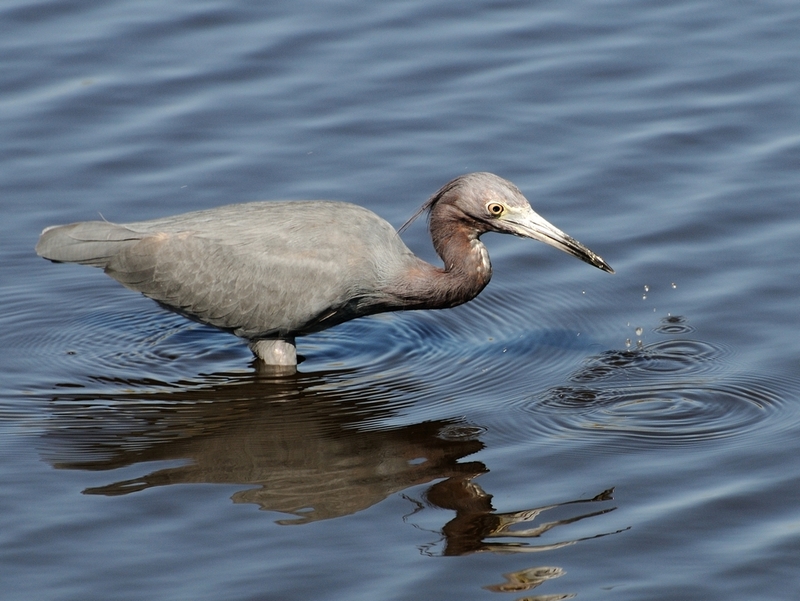 This entry was posted in animal behavior, Bird and tagged Little Blue Heron, Photography, Ponce de Leon Park. Bookmark the permalink. What about any beak color changes? I have been following one who had a yellowish beak. Others seem to have a blueish beak. Is this actually a different bird, or does maturation also bring changes in beak color? Thanks for the reply. 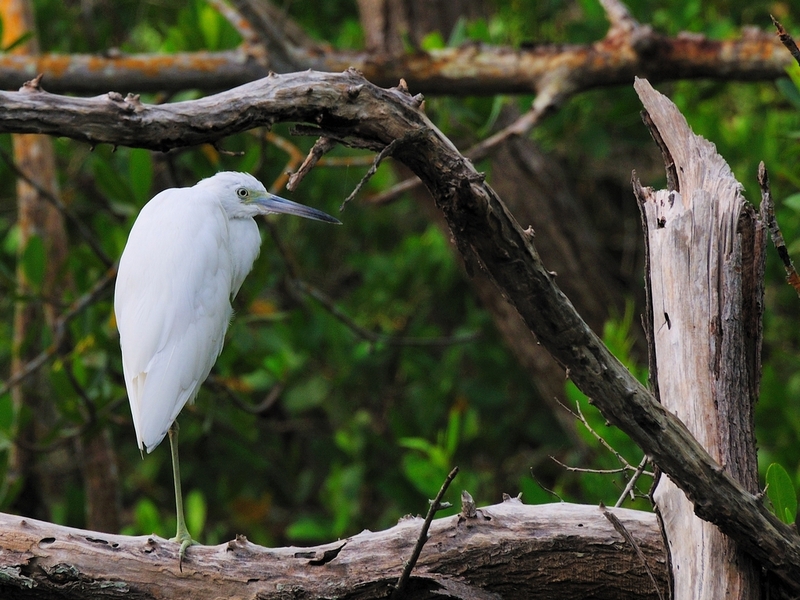 But nope – not a Snowy Egret. It’s all blue. Is there a way for me to post a photo here? I don’t know of any way to post an image other than in the blog myself. Yes, that is it!!!! Thanks!